One of the newer kids on the block when it comes to developing and supplying games to online casinos is the Isle of Man headquartered Gameiom. On this page we’re going to point you towards the different slots produced by the company and reveal their all-important return to player percentages (RTP) so you know which slots pay best. There are just over 40 online gaming and gambling titles offered by Gameiom. Those 40 titles include some products developed and created by Gameiom themselves, as well as a large number from third party game developers who have gone into commercial partnership with Gameiom. Those partnerships now include Pragmatic Play, Ainsworth, Reflex Gaming, Asylum Lab, Slingo, Mega Games Universal, Magnet Gaming and Gaming Realms. Gameiom’s product portfolio is composed entirely of different video slots games. As a comparatively smaller company, it is perhaps not surprising that Gameiom do not currently have any deals in place with movie studios, TV companies or other such organisations, and so do not offer related, licensed slots content. What Gameiom do provide, however, is a slate of largely five reel slots which are as varied in theme and features as you could possibly imagine. Animals, cowboys and dinosaurs are all included amongst the inspirations for available Gameiom slots, whilst bonus rounds, scatters and all many of other innovative features are include liberally within many of the titles. At the top end of the Gameiom payouts you’ll find Gold Train which pays out at 97.16% RTP – not a bad effort but by no means the highest payout you can get from the best slot machines. The least well paying game offered by Gameiom is a bit of a funny one because when the progressive jackpot has built the game can pay as much as 95.00% but when the progressive is just starting to build the payout is a staggering 75.44%. The game is Bar X Colossal so make sure you check the jackpot before spinning. The average Gameiom payout percentage is 95.10% which cerainly isn’t great when compared to other big brands such as Netent and Play’n Go. Make sure you’re playing their top paying titles otherwise you’re likely getting a bit of a raw deal. 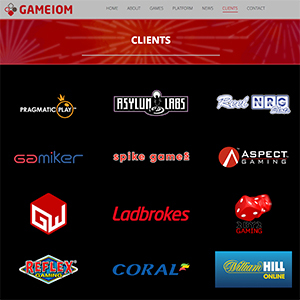 Gameiom are one of the newest gambling software development companies to hit the market. The firm was founded only a little over a year ago, in the latter part of 2016 but has already achieved impressive growth and developed relationships with some of the biggest names in the gambling industry. Gambling giants such as William Hill, Ladbrokes, BetVictor and the Gala Coral Group, for example, can all be counted amongst the clients of Gameiom. Alongside working with those world-renowned gambling providers, too, Gameiom also have relationships with a great many independent casino game developers. Gameiom have partly been able to cultivate such impressive and diverse partnerships thanks to the company’s very clear and two pronged ultimate objective. ‘to provide a reliable and robust aggregation platform that empowers innovative game developers to quickly secure a viable and exciting route to market from a single integration’. ‘provide content, including proprietary products, that excites and engages players all over the globe’. The main method by which Gameiom strive to achieve the first of their over-arching objectives is by the supply of their Gameiom Platform. The Gameiom Platform is ‘a robust and scalable java-based remote gaming server capable of delivering hundreds of games to multiple operators’, according to the company. What that means is that it is a full, server-based gaming solution which can help game developers to deliver cross-platform gaming content to online operators. 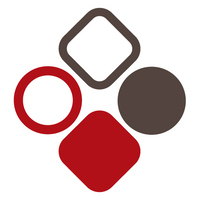 Built with those developers in mind, too, the Gameiom Platform spares providers the need to understand the nuances of differing systems, or to deliver and support their content through ‘onerous and expensive testing procedures’ for every target platform. According to Gameiom, then, their platform is a ‘true remote gaming server that places flexibility, scalability and speed at its very core’. What’s more, alongside those key philosophies, the platform also boasts notable additional advantages such as providing bespoke bonus engines and support for over 20 different languages. When it comes to the delivery of the second aspect of Gameiom’s main objective, the company both develop their own games and work with a growing array of third party game developers. That arrangement has helped the company to build a portfolio of online gaming titles which is well worth taking a closer look at.